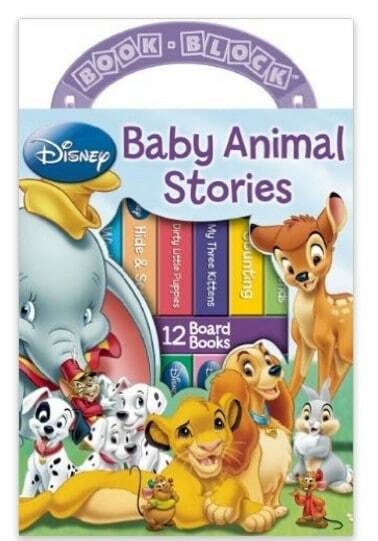 The Disney: Baby Animal Stories 12 Book Block is on sale for $9.75 at Amazon right now. That's 25% off the list price of $12.98! Disney: Baby Animal Stories 12 Book Block is a collection of storybooks about baby animals featured in several Disney movies, including Bambi, The Lion King, and 101 Dalmatians. Designed for children ages 10 months and older, the library consists of 12 three-square-inch board books that come in a keepsake storage box. The storage box has a convenient handle for easy carrying, as well as a colorful design. The board books are ideal size for little hands and they are able to withstand rough handling.